A Portrait of Guan Hanqing. Yuanqu, or “Lyric song” from the Yuan Dynasty (1276-1368), a traditional Chinese literature and artform, flourished and thrived in Hebei. Many famous writers ofYuanqu were born in Hebei, including Guan Hanqing, Wang Shipu, Bai Pu and Ma Zhiyuan. Their works are considered by many to contribute hugely to Chinese Hebei culture. During the Ming (1368-1644) and Qing (1644-1911) dynasties, a number of famous literary figures were also born in Hebei. 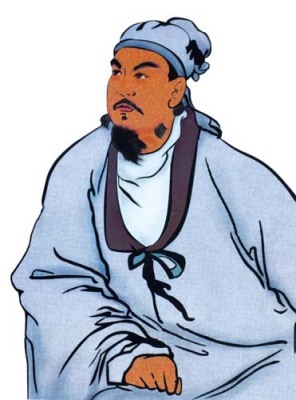 The most famous was Cao Xueqin, the author of Dream of the Red Chamber, believed by many to be the greatest novel written in the Chinese language. In modern literature, many writers originated in the province including Feng Zhi, Guo Xiaochuan, Zhou Erfu, and Yang Shuo. They have contributed many influential works of Chinese literature.